When was the last time you wrote a real letter? Not one of typed words, but one scratched out by hand with ink? Every time I spy a handwritten envelope in my mailbox, I can’t wait to open it. I write cards to bless my friends. Hebrews 10:24 says, “And let us consider how we may spur one another on toward love and good deeds.” Aren’t we living this out when we sit down, gather our thoughts and write a greeting to someone we care about? With Facebook, Twitter and email being so popular, I mourn the lost art of letter writing. A handwritten note affects the recipient because of the writer’s time and effort. Receiving a tangible reminder someone cares deeply for you is profoundly exhilarating. When I was little, my mom instilled in me and my siblings the importance of sending a personal greeting. Writing thank you cards took on an even greater significance to her. A gift touched your heart and a card relayed your gratitude for the kindness. If my mother had her way, we’d have written our thank you’s before we got to play with any new toys…maybe even before we unwrapped them! But she gave us some latitude as long as the thank you note was promptly in the mail. This habit was an excellent way to teach me the importance of saying thank you. As an adult, my favorites are “thank you for being you” cards. They are unexpected gifts to recipients and a blessing to write. I believe card writing changes lives. Oh, you’ll probably chide me for being overly dramatic, but ponder this for a moment. 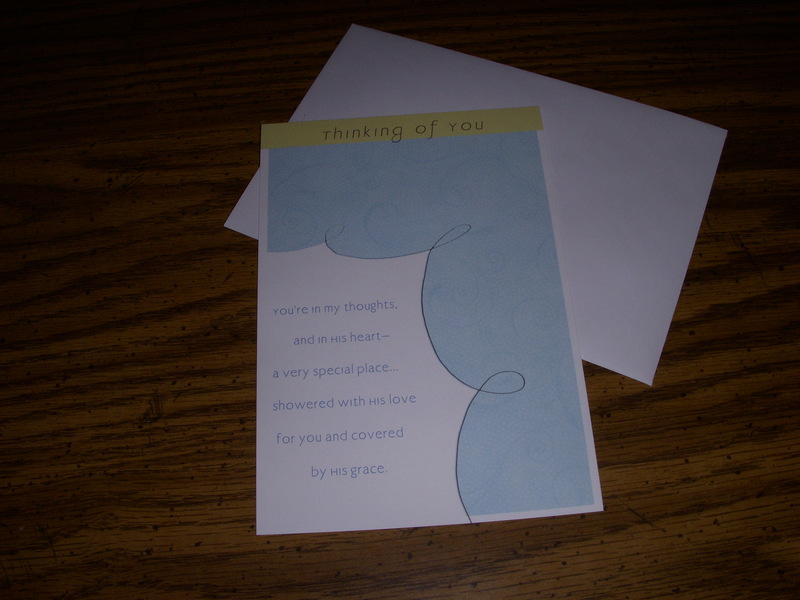 When you write a card, you quiet yourself for a few minutes and think about the recipient. This helps grow the affection and love you have for them. I always ask God to give me just the right words. I pray for the person I am writing to – what is going on in their life? How can this card encourage them? That intentionality is life changing. Life change also occurs for the addressee. A card transports love. It can lift spirits, brighten a gloomy day and bring joy. If you don’t believe me, write a note by hand to someone. I guarantee you’ll receive squeals of delight. Who can you send a “thank you for being you” card to? To whom can you say “you matter?” Someone in your life needs to know they make a difference and you are thankful for them. It might be a friend who lives nearby or across an ocean. It might be a family member. It might be your wife or husband. Will you pray for that person and send them a card today? Then share in the comments how this impacted you or the card’s recipient. This entry was posted in Uncategorized on January 9, 2012 by Myra Wells. Thank you. You’re right! Letter writing is a lost art. So is sending a ‘thank you’ card. Thank you for bringing this to light and for the reminder of how important this is in our technology driven society.